How does a hurricane affect real estate property values? You are here: Home / St. Croix Real Estate Market / How does a hurricane affect real estate property values? With hurricane season upon us, this Forbes article, Does Hurricane Damage Negatively Impact Your Real Estate Value?, is quite timely. The article references last year’s intense season and offers the prediction that 2018 is in for 14 named storms, six hurricanes, and two major hurricanes. Of course, the territory that those predictions covers is vast and it’s unknown where any potential storms may make landfall. But, how does a hurricane affect real estate property values in areas hit by hurricanes? The St. Croix real estate market was right on target with Forbes’ assessment that real estate sales take a short-term plunge after a hurricane. “…reports show that home sales happen less frequent and at a lower cost immediately after a storm.” Naturally, homeowners are doing the necessary post-storm tasks, like assessing damage, making repairs, and cleaning up. Once recovery is in full swing, we have seen an increase in median prices and decrease in the median time on the market. This year, we saw an uptick in real estate about 4-6 months after hurricanes Irma and Maria. The article also mentions rentals, which have been in high demand due to recovery efforts. 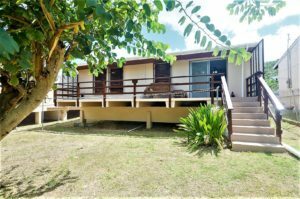 Post-storm has proven to be a prime time to own a rental property on St. Croix. Keep up to date with the latest on St. Croix and David Fedeles listings. Would you like to learn more about a property you see or are you considering listing your property? We can help! David Fedeles is a licensed real estate broker in both St. Croix USVI and New York. If you are looking for your dream home in America’s Paradise, David is ready to work with you!